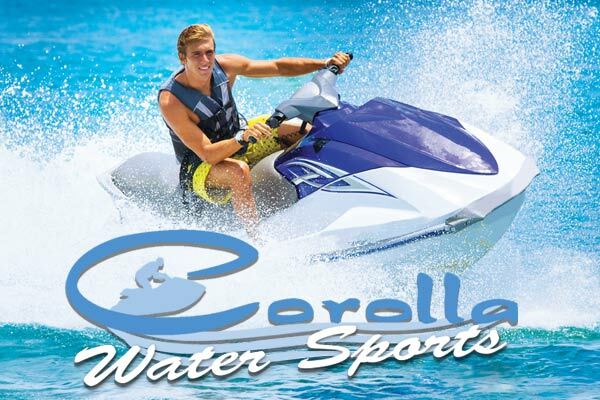 Corolla Water Sports is the original, most comprehensive, and best watersports location on the Northern Outer Banks. We have been providing a first-class facility for many years, and have had thousands of happy customers over this time. We rent only the best equipment and upgrade to new equipment every season. We have professional and friendly staff whose emphasis is always on fun and most importantly safety. We have grown over the years and have created a full-service facility that provides something for everyone in your family. We are located in the TimBuck II shopping center in the heart of Corolla. We have paddle boats, golf, and offsite kayak rentals at the front of our store and offer wave runners, parasailing, kayak rentals, kayak tours, boat rentals, and guided fishing trips from our 2000′ pier extending into the beautiful Currituck Sound. By far the best, and most experienced water sports location in Corolla, we look forward to helping your family have fun on the water during your vacation.